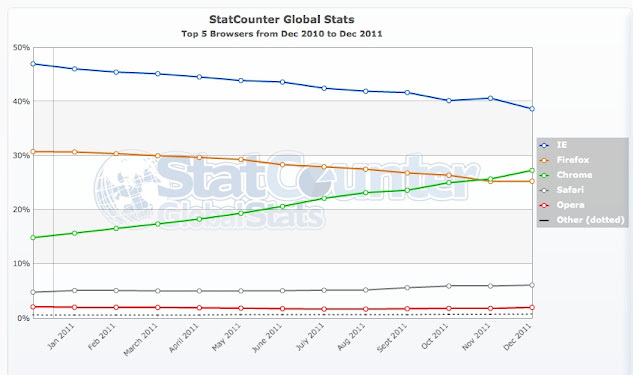 Looks like Internet Explorer is not as popular as it once was in New Zealand, according to Statcounter Global Statistics. 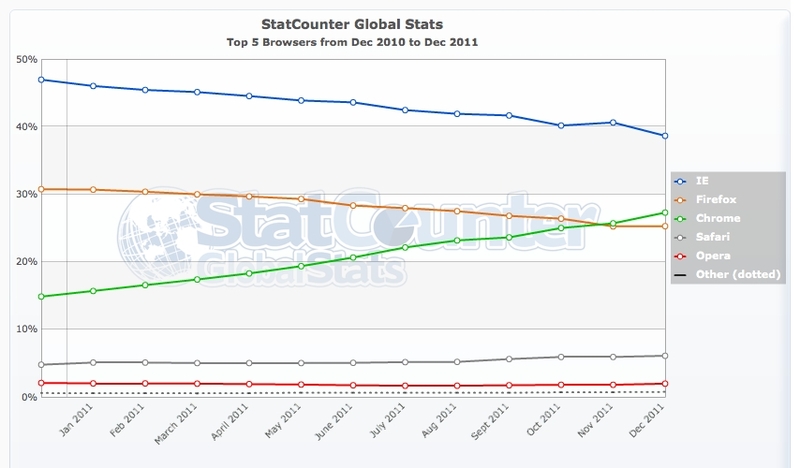 While holding its number 1 spot it has dropped below 40% of browser usage. Google's Chrome browser has overtaken Firefox to becomes NZ's number 2 browser. because sometimes they will display your updates differently/unexpectedly. Stats for mobile devices show the iPhone browser useage far exceeds any of the other mobile browsers.